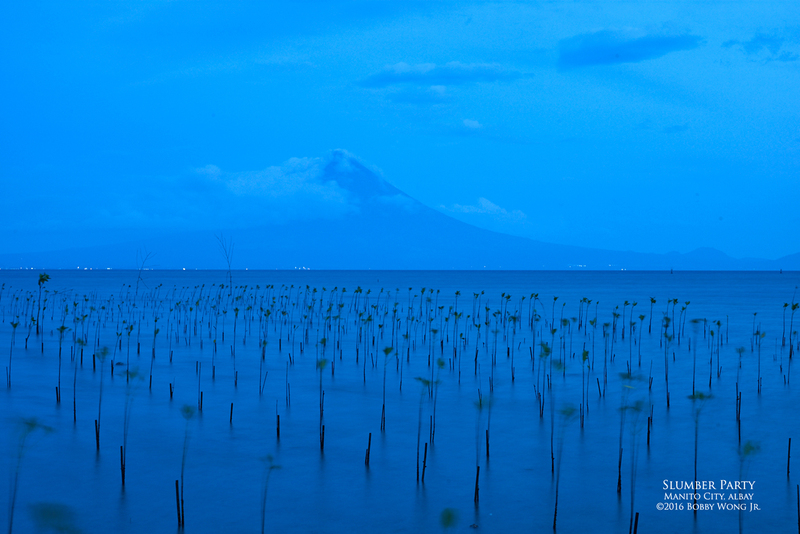 We were across the bay in Manito in Albay, southeast of the majestic Mount Mayon, searching for foregrounds worthy of her majesty. The goal was to photograph her from the north and the south, and then again from her east and her west. To see her in 360 degrees is to discover how life in these parts have come together around her. The morning turned-out to be wet and muggy. Dark clouds on the horizon shut the sun down, enveloped the environs in a blue cocoon, and left us scrambling to bring at least one good photograph home. It helped that the silhouette of her perfect cone occasionally appeared, but never without a veil-of-a-cloud we wished would just go away. A strong wind was blowing from the east, and those mangrove seedlings in the foreground fluttered with each gust, just like kids dancing in a slumber party. It gave me an idea. Click. Enjoy.